From music to science to athletics, people with average talent have achieved extraordinary things. Why won’t my agents and brokers just do what I tell them? Why am I struggling to motivate my team? Why aren’t they giving me the performance I need? If any of these questions sound familiar to you, you’re not alone. You were probably promoted to your current position because you’re a competent technical professional. But whether you’re a middle manager at a major life insurance carrier a principal of a brokerage-general agency, your technical skills usually won’t help you be a better leader. 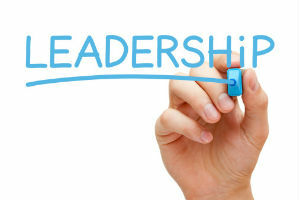 But effective leadership has an undeniable business value. In one study, Jack Zenger and colleagues (“How Extraordinary Leaders Double Profits”) examined the best (top 10 percent) and worst (bottom 10 percent) leaders at a large commercial bank. On average, the worst leaders’ departments experienced net losses of $1.2 million, while the best leaders boasted profits of $4.5 million. As any disgruntled employee will attest, exceptional leadership isn’t commonplace. One recent Center for Creative Leadership study reveals that up to 50 percent of managers are ineffective. And sadly, your company probably isn’t doing much to help you. First, they probably use the wrong criteria to select leaders by focusing on technical—rather than leadership—skills. Second, most invest precious little to develop leaders, and training is often an isolated, one-size-fits-all event. Without follow-up, 90 percent of information from training programs disappears after three months! Luckily, there’s good news. Though psychologists used to believe leaders were “born,” recent research tells a much different story: Leadership is an acquirable skill. Recently, a study by Richard Arvey at Singapore’s NUS Business School revealed that a whopping 70 percent of leadership is learned. That means anyone can learn to become an effective leader. First, effective leaders showed consideration, displaying support, compassion and friendliness to their team. Second, they initiated structure. They clearly defined the role each employee played and drove their performance. Let’s re-name these behaviors “People” and “Results,” respectively. Help you enjoy your job AND ensure eveyone maximally contributes. Just as you can’t start a weight-loss program without getting on a scale, you must begin your journey by learning the truth about yourself. We’re often the worst evaluators of our behavior. You may have placed yourself in the middle of the continuum, believing you place an equal emphasis on People and Results—but your team might say, “Are you kidding? You’re a total slave driver!” Use your resources and gather the facts, whether it’s through an assessment or feedback in the form of conversations. It’s likely that you’ve had a development plan before — that gathered dust in a drawer. You were probably engaging in Delusional Development: the futile hope that just by wanting to get better at something and knowing enough to be dangerous, you’ll show improvement.